A show that I’ve wanted to see for around a decade now is Spring Awakening. Due to the themes, my parents wouldn’t take me when I had the opportunity. But I’m 24 this year, so I can gallivant around the country and see whatever shows I want. So I did. I gallivanted to the north to take my first trip to the Hope Mill Theatre to see a show that’s been on my radar since the cast of 90210 performed Mama Who Bore Me in 2008. Spring Awakening is a musical written by Duncan Sheik and Steven Sater, and is based on the 1891 novel of the same name by German playwright Frank Wedekind. Telling the tale of teenagers who in 19th century Germany must deal with issues that are still rooted in our society. Relationships, abuse, learning what it means to be human and discovering mortality. It is a haunting musical with some really powerful messages. Melchior Gabor (Darragh Cowley) has had enough of the close-minded society that he lives in, and is determined to change it. Along the way he shares his readings with his best friend, Moritz Stiefel (Jabez Sykes), who is haunted by sexually explicit dreams, and reconnects with childhood best friend, Wendla Bergman (Nikita Johal), who dreams of learning about the life her mother won’t share with her. Supported by an ensemble with equally as complicated stories to tell, this cast was a real winner. I could not believe that Cowley was making his professional debut in the lead role of Melchior. His gritty voice brought depth to the rock soundtrack, and his cheeky smile and charisma allowed him to truly get away with the questioning of society. Sykes played a brilliantly believable Moritz, and I felt real sympathy for his clear anxiety and my heart ached for him during his rapid downward spiral. Johal’s Wendla featured strong vocals, and I was keen to follow her curiosity through the production. I have a little honorable mention to make in this cast thanks to the key theme that remains rife in today’s society: the struggle with sexuality. Hanschen is seemingly so sure of himself, and is such a guilty pleasure character for me. Adam Dawson totally did the role justice, and was as brilliant as I could’ve hoped for. I’ve had the original Broadway cast recording of Spring Awakening for 9 years, so I know the music pretty well. I know the parts, I know the harmonies and I know how I’ve wanted them to be performed for all this time. And I wasn’t disappointed. Vocally the cast were brilliant, even if the northern accents took a little getting used to compared to hearing the likes of Jonathan Groff, Lea Michele and John Gallagher Jr perform them. The Hope Mill Theatre is a fairly versatile space, especially the space is housed in a Grade II Listed building, and I was really impressed by the use of the staging area. It was a very simple set, but the use of props, such a light wands, transformed the stage. But my favourite aspect of the whole production was the Nic Farman’s lighting design. 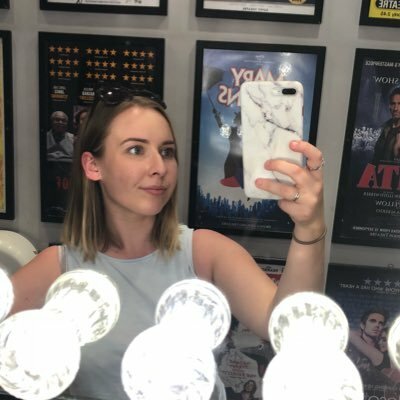 Since I’ve been going to the theatre on a regular basis, lighting is something that I noticed more than anything. For me, lighting makes or breaks the show and the alignment with the music and the mood was spot on. I really hope I get the chance to revisit the Hope Mill Theatre later in the year for Aspects of Love, but until then, I’ll continue to look back at my trip to Spring Awakening. It was a brilliant piece of theatre by a fairly novice cast, and whilst I can’t see it transferring as successfully as Pippin did, I would definitely be interested in seeing an extension of this beautiful piece of theatre.